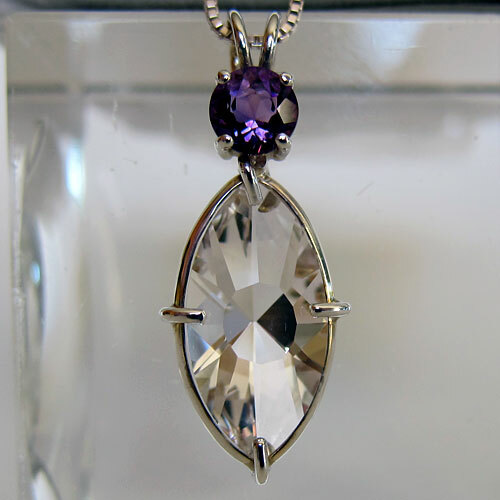 Dimensions (HxWxD): 1.4" x 0.6" x 0.33"
This beautiful, water-clear quartz Infinite Eye pendant is crowned with a sparkling, highly faceted round cut deep violet amethyst gemstone, and comes with a sterling silver chain in a velvet jewelry box. The combination of clear quartz and amethyst will gently assist you in staying grounded while connecting with Higher Worlds. Amethyst energizes the crown chakra, which is associated with the color violet in the Western chakra system, and clear quartz energizes the entire chakra system, while helping to ground and center the bearer. 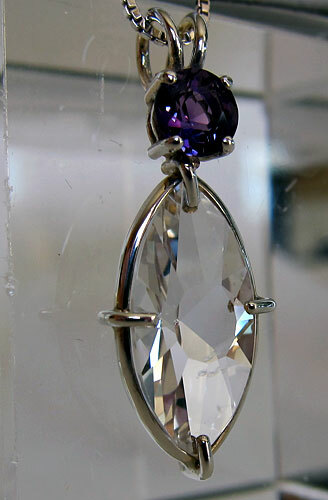 Amethyst is the gemstone variety of quartz, produced by the presence of manganese in clear quartz crystal. Increments of iron within the crystal as it formed vary the color of the amethyst, which ranges from pale lilac to deep purple. Amethyst has been popular with royalty, sages, mystics and magicians for centuries. 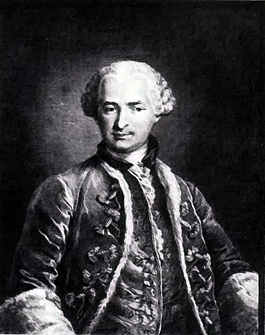 “Fine amethysts are featured in the British Crown Jewels and were also a favorite of Catherine the Great and Egyptian royalty,” according to the International Colored Gemstone Association. Amethyst is said to enhance spirituality, raise the vibrational level of the holder, cleanse the astral, etheric and physical bodies, and produce a peaceful, tranquil state of mind. According to Melody’s fine book Love is in the Earth, amethyst “can be used to protect against psychic attacks; the energy of the attack being transmitted to the transmitted to the universe after its transformation into a positive, loving energy. Amethyst is classically the stone of sobriety, purity and chastity and would be an excellent stone for those with tendencies toward addictive behavior, or for those spiritual seekers intent upon transformation through the progressive purification of mind, body and aura.